Enter model number or spare part code. Is your shaver missing the precise clean smooth cut that it should be? Replacement Foils and Cutters available for your Electric Shaver. 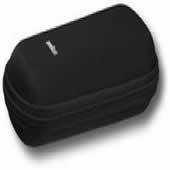 Branded spares are available to buy online here in the UK. If your 5pm shadow is becoming a 10am one, then your Braun shaver may be trying to tell you, it’s time for a new foil cassette. By renewing the replacement cutting blades with genuine parts you will find your whole grooming experience becomes quicker and smoother allowing you more time in the morning. In 1921 Braun was born. The founder was Max Braun, a German. The company originally made radio sets. Continuing into the 1930's, the brand name was officially formed with the letter “A” raised, which continues to this day. Jumping to the late 1950's, Braun branched out to slide projectors. They would continue to do this for the next forty years. 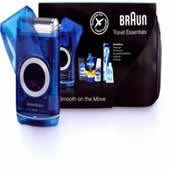 Also during the 1950's, Braun produced and sold the very first electric shaver to the world. It originally was started back in 1938, but WWII prevented history to be made yet. The shaver was called the S50 and used an oscillating cutter block. Above it was a thin steel foil that actually was stable. 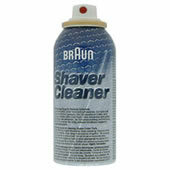 Eighty years later, the technology is still used today in Braun shavers. During the 1970's Braun was making home appliances including shavers. 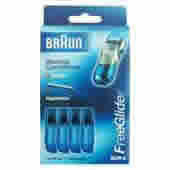 Then, in 1982, Braun became part of Gillette and today is actually owned by Procter and Gamble. 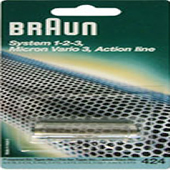 They purchased Braun officially in 2005. Today, Braun is still one of the best selling men's razors in history. You will currently find these models: Series 1, 3, 5, and 7. Series 1 will be great for beginners and low budgets. You will find a Triple Action Free Float System on the Series 3. On the Series 5, the shaver can clean itself and will even lift the hair, called an Active Lift that is guaranteed for a great shave. Series 7 will treat you as a king with an awesome shave and lots of awesome features. There is Pulsonic Technology, a personalized mode if you have sensitive skin or need a smoother shave, and flexible shaving to make sure your entire face and neck is shaved. Braun a German company who have been in business for over 90 years and are well known for producing quality products including shaving equipment and their replacement parts. 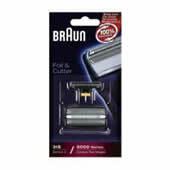 Braun foils have a cutting block with a selection of very small knives placed just under the metallic foil and allows the raised hairs to be cut easily using smooth and even movements and is an excellent alternative to the rotary blade type of electric shaver. What type of Braun replacement parts are available? When you choose a product from this company, you are safe in the knowing that, they only design products and in particular electric shavers and associated parts that, will give you great results time and again and it doesn't really matter which type of shaver you invest in, as it will have their excellent workmanship behind each and every item. In order to enjoy that perfect close shave with your electric shaver, it's crucial to make an investment in a product which ticks all of the required boxes and with Braun, you are always guaranteed the perfect close shave from a company who are synonymous for producing quality. There is certainly no shortage of electric shavers in the marketplace to choose from and some offer a decent and reasonably close shave, but for excellent quality and a smooth finish the superb range of Braun are certainly worth serious consideration. All Braun shavers are electric shavers.